 Life Insurance | Insurance Service Group, Inc. Your family is your responsibility and your life, and there’s nothing better than watching them succeed and sharing in their ambitions, dreams, and conquests. But should something unexpected happen to you, you’ll want to be prepared for providing the assurance your family needs to keep their futures safe and sound. At Insurance Services Group, we’ll work with you to keep your family protected in the event of your untimely death. A proper Life Insurance policy can give you peace of mind knowing that your finances and beneficiaries are secure – from temporary to permanent coverage. At Insurance Services Group, we understand that as things in your life change, so will your financial and insurance needs. That’s why it’s important to review your Life Insurance options with a specialist you can trust. Protect what matters most in your life with a policy from Insurance Services Group. Insurance Services Group provides quality Life Insurance solutions for clients near Oskaloosa, Pella, New Sharon, Sigourney, Ottumwa, and Albia. At Insurance Services Group, we know that choosing a Life Insurance plan is a big decision with many important factors to consider. Our knowledgeable team of insurance professionals is committed to walking you through the process and providing you with the best insurance solution to give you and your family the peace of mind you deserve. Insurance Services Group offers several different coverage options for your consideration: Term Life, Whole Life, Universal Life, and Variable Life Insurance. Term Life—This is typically the simplest and least expensive insurance option. Term Life Insurance provides coverage at a fixed rate for a specified period of time. It’s a benefit policy that’s used primarily to cover financial responsibilities of the insured, with the benefit to be paid only if the insured were to die during the specified term. Most Term Life policies can be converted to a more permanent insurance solution such as Whole Life, Variable Life, or Universal Life Insurance. Whole Life—As the most common type of permanent insurance, a Whole Life policy guarantees a death benefit for the lifetime of the insured as well as a cash value account for savings. Your premium remains constant throughout the duration of policy while payments over and above your premium are credited to your savings, which earn a fixed rate of interest. Universal Life—Universal Life policies are designed to be more flexible than other permanent Life Insurance. You are still guaranteed a death benefit for the duration of the policy as well as savings that accumulate cash value, but the flexibility of a Universal Life plan allows you to change certain aspects of your plan to accommodate life changes. An insurance specialist at Insurance Services Group will review your current Life Insurance situation and help you design a policy to plan for the future. At Insurance Services Group, we offer a variety of flexible Group Life Insurance solutions that benefit both you and your employees. As an employer, you can enjoy financial advantages such as income-tax deductible premiums and Life Insurance protection at a low group rate. Group Life insurance also can contribute positively to the productivity of your business by reducing employee turnover and strengthening employee morale and loyalty. To learn more about the Group Life Insurance options available to your business, speak to a specialist at Insurance Services Group. Our professional staff will gather information about your business and help design a plan that fits your needs and objectives for a desirable Group Life plan. When it comes to protecting your assets, one of the most important things you can insure isn’t a material object like your car or home – it’s your ability to work and earn a living. At Insurance Services Group, we know that like most people, you depend on your income to pay bills, put food on the table, and provide for your family. But if you get sick or injured and can’t work, you’ll need to be protected in order to maintain your standard of living. With Disability Income Insurance from Insurance Services Group, you can continue to pay your bills and keep you and your family from going into serious debt. If you can’t work as a result of injury or other illness, a Disability Insurance policy will pay a portion of your income, usually between 50 and 70 percent. Choosing the right Disability coverage is important. In the event you become disabled, you’ll want to ensure that you and your family have enough coverage. A representative at Insurance Services Group will look at the individual factors in your life and work situation, and help design the best policy that meets your personal insurance needs. Between physical assets and financial successes, there are many things that married couples share. Insurance Services Group knows that couples today can easily accumulate wealth in the millions, which means hefty estate taxes in the event of either spouse’s passing. A Second-to-Die policy, also known as Survivorship Insurance, is a type of joint insurance that covers the lives of two people, usually married couples, where the death benefit is not paid until the death of the second insured person. A Second-to-Die policy from Insurance Services Group gives your beneficiaries the means to pay off your estate taxes without having to liquidate the personal assets you’ve worked hard to attain. And because the policy insures more than one person, you’ll also enjoy a lower premium, and the total cost of the insurance will be cheaper than the estate taxes your beneficiaries will be liable to pay. Due to the specialized nature of Second-to-Die insurance, some limitations may apply. It’s important to discuss your options with a specialist at Insurance Services Group to determine the right coverage amount for you and your family.